We are back at the office, it’s Sunday but Solar Energy UK has drawn to a close and, after the stands get taken down around me, the team at our Energy Conservation Centre are reflecting on what has been the most successful show we’ve ever attended. The organisers of the show said that the last days visitor numbers were up a staggering 46% from last year’s and we can vouch for the excitement at the show floor level. For us a key topic of conversation this year was the inclusion of zero upfront investment for foundation industries seeking to make energy-saving improvements to their businesses, together with our installer members and funding panel we can find the best way to pay for them. For others the talk was the first ever very heavy industrial LED Light designed for use in dirty, dusty and very extreme temperature applications that stole the show. Whilst everyman and his dog are rushing to meet the tight RO deadline, we are instead seeking out members who would like to focus on medium sized 50kW to 250kW solar PV (photovoltaic) installations for businesses and enhance business with a campaign to help businesses with either a Power Purchase Agreement or a Power Lease. The government’s strategy was set out at the event for Solar, it was made clear that commercial rooftop is the sector is about to undergo a boom. 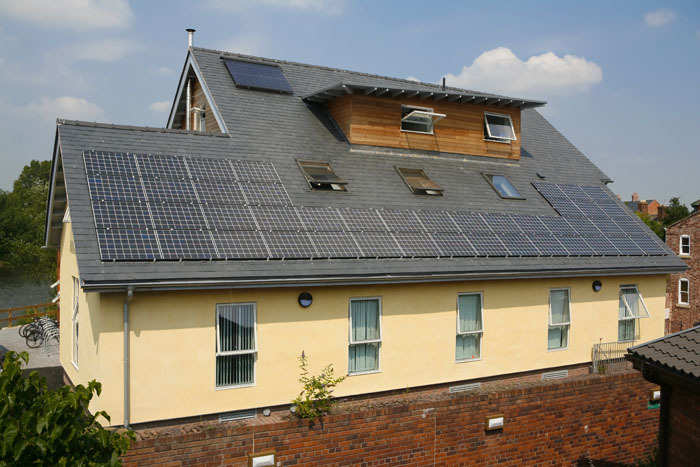 If the concept of higher Feed-in-Tariff over a shorter period would start, it might be the tool to ignite mass rooftops by encouraging financiers to match payback to hire purchase, leasing and even debt finance schemes. Elsewhere, the Energy Conservation Centre played host to some interesting visitors and we look forward to meeting with the prospective agents/ installer partners soon. talks on Electric Vehicles and their increasingly important role to those working in the clean energy space. Keith Budden, head of business development at Cenex explained that EVs are poised to gain further traction in the UK over the next five years thanks to £500 million in support that has been set aside by the government. We enjoyed meeting Greg Barker’s replacement as Amber Rudd officially took her new role in mid July, Amber spoke at a flagship event at SEUK 2014. As an aside Amber is (ex-wife) second wife of fearsome critic of A.A. Gill . Interestingly Gill it is said by some that his life is something of a contradiction. He is pro-Labour, funny to have a Tory wife, support Labour and order a Lobster at the same cost as a weeks wages. The government was positive, if they can keep to plan (now), we will see the concept of a transferable FiT and even the a higher shorter ROI to help fund Solar PV for rooftops on businesses across the UK. The other news of the show is that the UK will see electric vehicles given a boost of £200 million to kick start as a plug-in grant and if executed correctly EV business will be brisk. May I wish all the visitors to our stand a huge thank you for visiting our stand and it will be a pleasure to be of service over the next year and beyond. 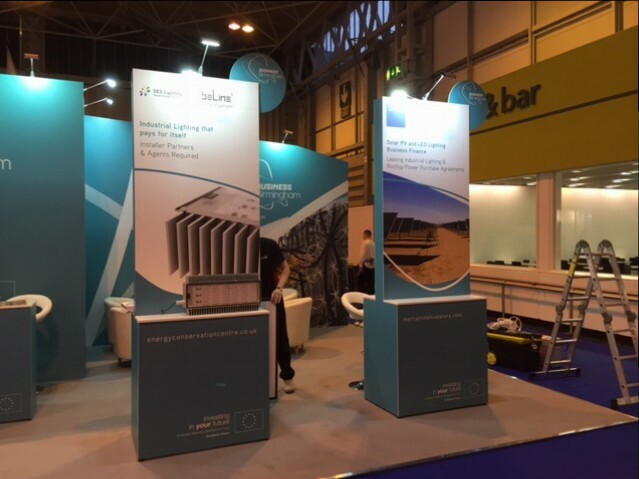 It was great to chat with our fellow exhibitors and speakers – thank you for making Solar Energy UK 2014 such a memorable event. That’s all from the show floor but frankly our work is just starting and I look forward to seeing everyone as we tour the country. If we don’t see you soon I look forward to meeting again next year for Ecobuild or the sixth Solar Energy event at the NEC. 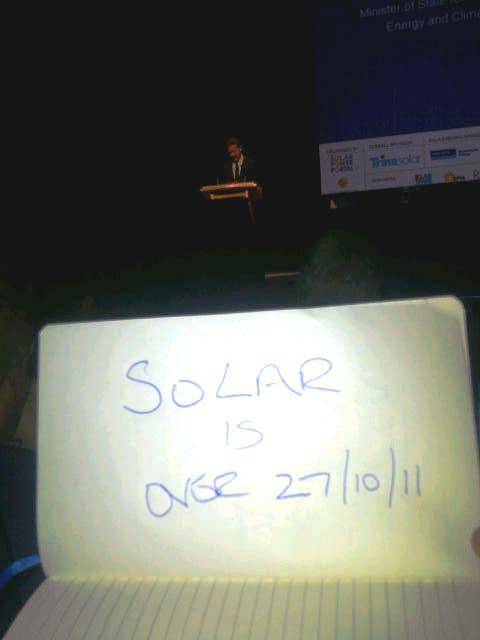 We gathered during the tumultuous FiT debarcle to change a perception that Solar Photovoltaic was over. Well done, you have done it! Solar remains the king of renewable energy, and it’s not going to disappear anytime soon. You demonstrated what’s possible with the very best installers Solar Photovoltaic involved you continued building a silent power revolution on our rooftops and on the ground. Commercially you are doing something deeply rewarding by mastering ancient techniques. A man who can catch a ray of sun with a panel on the roof and make hot water or electricity can accomplish anything. Take heart, Solarpreneurs. The journey was long, but your cause was just. We are playing an important role. Investment levels in commercial premises energy efficency remain well below what’s required We are taking on energy conservation for the more difficult difficult foundation industries, leisure sector and large commercial projects, We are de-risking new lighting, solar and other energy efficent measures and helping to lower the cost of capital for green projects. We are financing the modernisation of the EU’s energy efficency and renewable energy sectors by backing smaller, innovative initiatives for business. As EU Commissioner Caves in After China Trade War Threats Will .45p p/w Module Exist? An amicable agreement has just about been agree by the EU and China as the repercussions of duty added to wine, Range Rover’s, BMW and Roller’s was too much to risk in a skint EU and the majority of countries in the EU were forced to support China. In a nutshell we will see modules from China at a price of 42p to 48p per watt and EU made modules are expected to compete at 52p to 72p per watt. In general the EU product will have a 20% price disadvantage. To save face it will be deemed necessary for both sides to look beyond the trade issue, to the common challenge of climate change and cooperation opportunities in the transition to green economy. The USA are doing a U-turn when China retaliated in the ongoing solar trade war with the US after our chums in China started a new import duty on one of the main components of solar cells and as you will expect this component is from our chums stateside. We notice that press reports say that the negotiations started face to face but all parties came to an amicable agreement and the team of negotiators caught flights home on Friday. Negotiations might need some email and signatures but the shouting is all over bar the exact figure. The forecast is .43p to to .48p per watt and this will be a huge barrier to UK and other EU producer’s. Does the installer or investor care? Which would you rather buy – an MG made in China or an Audi made in Germany? One huge challenge is that the EU manufacturers had fallen like flies and this did mean the domestic market would not cope. Conergy and Alfasolar are in liquidators hands, Bosch solar is over, SolarWorld AG have had serious challenges and many more are in difficulty. If the supply and demand balance was so upset we could have been back to that £1 per watt module. With today’s FiT that would not work. One sticking point that could derail the negotiations are a limit as to how much PV can be sent from China with limited capacity shipments and if that does not do the duration of the contracted deal could be a sticking point. 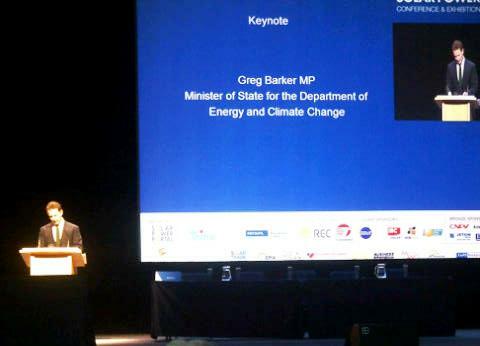 Speech by Gregory Barker, Minister of State, to the Intersolar Conference. Originally given at Munich, Germany. This is the text of the speech as drafted, which may differ slightly from the delivered version. Apt also to be in Germany, a huge solar market. A huge 32GW deployed to date. Germany made huge leaps forward in the last decade and now enjoys extraordinary levels of deployed solar power. There is much we can learn from her experience. Great Britain is now the most exciting growth market for solar in Europe. Let me take those in turn. But before I do so, let me set the context. The UK was the first country in the world to pass binding legislation through our national parliament to enshrine in law, our commitment to tackle dangerous man-made climate change. We have legislated to unilaterally reduce CO2 emissions by 80% from 1990 levels by 2050. To achieve this, the UK Government is totally committed to building a world-class renewables industry. 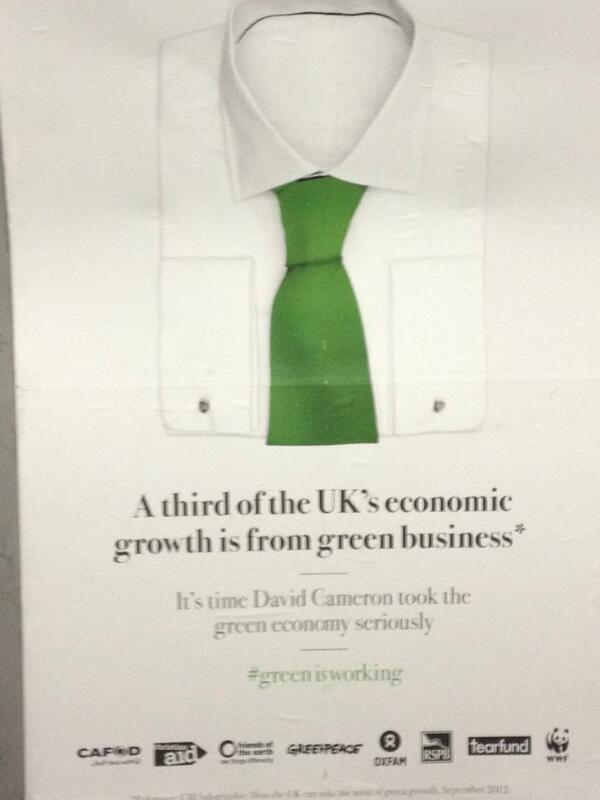 “When I became Prime Minister I said I wanted Britain to have the greenest government ever. I am as committed to that today as I was then. But I want to go further”. ‘one of the best places for green energy, green investment, and crucially for green jobs anywhere in the world’. Let there be no doubt. Affordable, scaleable, and reliable solar power is at the heart of that vision. And my job today is to tell you how we are going about supporting that. Britain’s solar industry is growing at an enormous pace. From almost no deployment in 2010, we now have 2.5GW of solar capacity across the UK. This puts us firmly in the top 10 markets around the world. And unlike more mature markets around Europe, we have much, much, much further to go. If we can continue to work together with industry to drive down costs, the UK government estimates that we have the potential to deploy a staggering total of 20GW by 2020. That’s 17.5GW more than we have today. …and, perhaps most excitingly, hundreds of thousands of individual households, now changing their whole relationship with the electricity markets. This heroic level of deployment is a tribute to the hard work, resilience and entrepreneurial spirit of the British solar industry. But also I hope the new and genuine partnership with the UK Government. In January we launched another world-first: the Green Deal. This groundbreaking and innovative scheme will create a new market for millions of people to improve the energy efficiency of their home with no up-front payment, but paid through expected savings in their energy bills. It also provides a great opportunity to fit Microgeneration technology, like solar panels. And later this year I will launch the UK’s first-ever Government led Solar Strategy. And earlier this year they opened our first ever National Solar Centre, which will identify opportunities to help the solar industry deploy further, faster, and cheaper. All of this is important. But I know that it is not enough. If we are to achieve my ambition is to have 20 GW of solar deployed in the UK by 2020, it means that we need one additional special factor. As someone formerly from the private sector myself, I understand that you, as investors, think in terms of years and decades rather than weeks and months. That is why my Government is committed to delivering you the stability you need. Public support. Our most recent survey shows solar enjoys over 80% public approval ratings. This is higher than any other renewable technology. Cross-party support. The current Opposition supports solar power – indeed, some of our policies such as the Feed in Tariff were introduced by Ed Miliband, current Leader of the Opposition, when he was Secretary of State for Energy in the last administration. The right skills. We have world-class universities. Some of these, such as Imperial and Loughborough, have globally recognised solar PV research and expertise. Good financial support. The UK has the lowest low corporation tax rate of all the major European economies. And in David Cameron’s Coalition you have a Government committed to supporting business and industry. And then you have the City of London and its multibillion pound financial services industry, global leaders in funding innovation and sunrise industries. Additionally we are taking advantage of our stable environment to enact policies which will bring even more stability for international investors. We have agreed across Government to provide a huge £7.6bn per year by 2020 of targeted subsidy to support renewables deployment in Britain. A clear demonstration of the UK putting its money where its mouth is. There is one final point I’d like to stress in my speech. And that is that Britain is a global hub for advanced manufacturing. All this makes Britain a natural destination for investment from firms looking to ‘go global’. But I would add three critical factors. First, we recognise that we are in a global race, and that open, innovative, free-trading pro-business nations are the ones most likely to prosper. Our entire Government philosophy is focused on succeeding in that global race. Government and private sector; one team, one ambition. Second, I am travelling the world committed to making Britain a hub for global solar firms. I visited East Africa last year with the largest-ever green trade mission, to scour that part of the continent for opportunities to invest in the budding African solar sector. And I hope to visit Saudi Arabia later this year, to see how Britain and British firms can help that country meet its noble ambitions to scale up its solar capacity. And finally, Britain – perhaps more than anyone else in the EU – stands for free trade and global competition. We have always done so, and will always continue to do so. That is why we have led the fight against the imposition of damaging and counterproductive anti-dumping EU levies on imports of Chinese solar panels. In my view a totally counterproductive and retrograde action. And that is why you can be sure that an investment in Britain will bear rewards, now and in the future. I hope I have left you in no doubt about our commitment in the UK to solar power. But in case I have, let me stress once more the main point. No country in the EU is better-placed for growth and new solar deployment than the UK…. …When 2 years ago we reformed our Feed in Tariffs, we did so not to undermine the industry, but because we saw falling solar panel prices as an opportunity not a threat. …Our stated ambitions mean that we have over 17GW of solar to deploy in the next seven years. So talk to our solar industry reps here; pay us a visit; come and talk to us; invest in Britain. 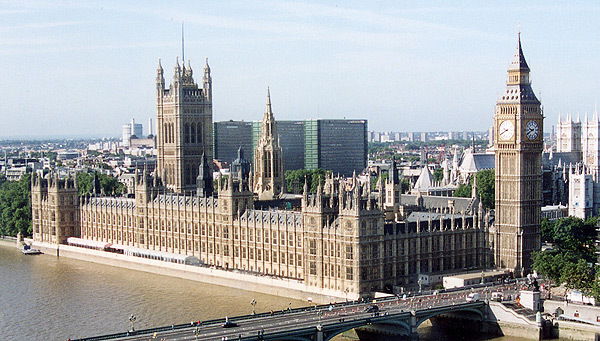 Join with the UK government, your partner in growth. Does a UK installer have to take responsibility for any warranty promises if the manufacturer fails? From a consumer’s point of view there is a difference between an installers guarantee and a manufacturers warranty. The words warranty or guarantee are not the key part but some manufacturers go beyond the Sale of Goods Act and the installer might want to ensure the consumer knows the difference between the two. In this section, to make it easier we will refer to both as ‘guarantees’. A guarantee usually promises for a set period to fix, free of charge, any faults which might arise. Although a guarantee can be ‘word of mouth’, it is better if you get it in writing. The person or company who gives the guarantee is called the ‘guarantor’. What is certain is that no manufacturers support should be expected from the point in time an Administrator is appointed by an insolvent manufacturer. This is especially true if an importer was aware of a manufacturer demonstrating signs of going out of business and at the same time the importer still carries on promoting (say) 10 year guarantees. If a manufacturer had a drop in share values of say 80%, it might be deemed by a judge as negligent actions of a company director so an importer should have passed this information to an installer and ensured this risk was passed on to the consumer. The manufacturers guarantees are key to ensuring that your PV system will be repaired if something should malfunction during the guarantee period. Remember, a warranty does not guarantee that the company will remain in business. Get a clear understanding of whom you should contact if there is a problem. To avoid any later misunderstandings, be sure to read the warranty carefully and review the terms and conditions with your retailer. Another reason for a cheap solar quote can be due to the price and quality of the solar modules. Most solar modules are expected to perform as expected in first few years.As the glut of module makers fought it out the supply of tier 1 cells are reputed to have slowed as some top manufacturers are alleged to have dropped the quality of the cell. The performance of a poor quality solar celll will drop dramatically. This is known as ‘degredation’ and can even have hot spots that hold the current and as we know this has lead to PV hot spots causing fire. bypass diode device is of primary importance for the solar module. “My guess is the installers are going to get a range of unpredictable module failures from products no longer available and if they have to replace array after array they will also fold. Many solar panel manufacturers around the world have only been established in the last couple of years, if they have only been around for a couple of years we might ask how can we guarantee they will remain in business? The guarantee will be of little value if the company disappears and this happens often, so you the consumer might be better knowing they will be left with a very expensive bill should a panel need replacing. If this module is old stock we might consider the challenge if the same module is no longer available. As I’m not an installer I can only guess the end user or more likely the installer could end up with having to replace the whole solar array at huge expense. Should China be allowed to break the law (even if this does suit the UK)? We probably find ourselves with the biggest dilemma for Solar PV ever! We now know that the majority of EU countries are opposed to a plan to which will impose hefty duties on solar panel imports from China. All efforts by Brussels to pressure Beijing over its trade practices are being hampered in the largest trade case the Commission has ever undertaken, with about £15 billion of China-made solar panels sold in the EU market. Whilst many sit with their head in hand hoping China will not be found guilty of selling Solar PV at below cost, industry leaders support China in what might be an illegal act. Before some people decide to reply (always welcome a reply) by sending an an angry email comment, please first seek out an alternative to our false altar of cheap price over high value and instead develop a new strategy as an alternative to a low margin. Low margins are not the only way forward. Instead of exerting resources on creating a ‘made in Great Britain’ sector for renewable energy equipment The Rt Hon Gregory Barker MP (Minister of State at the Department of Energy & Climate Change) went to Brussels last week lobbying in favour of China it looks as though he is not worried about Solar PV being imported from China too cheaply, thereby flooding the European market, distorting competition and hurting European manufacturers. Frankly the knee-jerk reaction from Brussels is wrong as they have proposed imposed an average 47 percent special import duty on Chinese solar panels and I gather the mobile phone sector is next in the firing line. Be careful what you wish for in this world, for if you wish hard enough you are sure to get it and I promise you dumping any kind of product must be avoided. 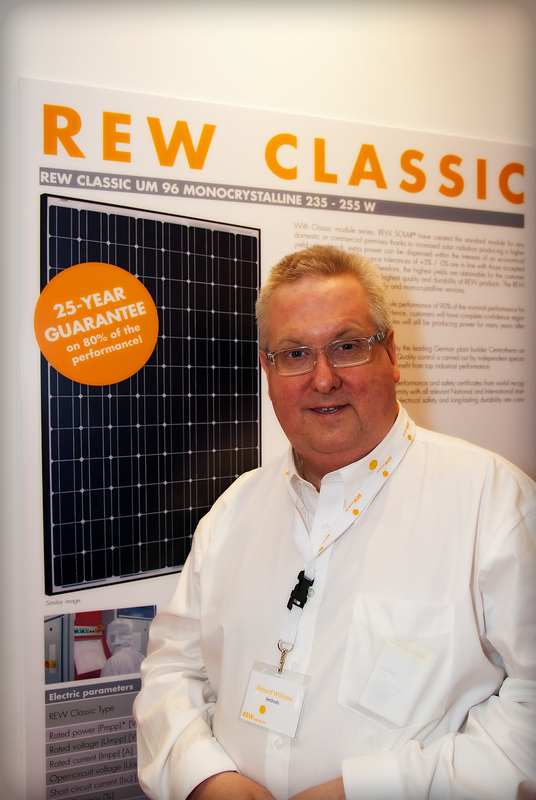 We are at the vanguard of a new era, if Solar PV becomes a precedent for below cost modules from PRC it is akin to closing down the high street shops by a Tesco style operator. Yes the public would get cheap food at below cost until all the little shops have gone and then prices will go up and the big players make profits. Solar PV is no different from any other product and if anti dumping is (will be) brought in as a levy it will create a more sustainable PV business. Perhaps we could go back to DECC and lobby for a FiT increase as it was all about ROI and cheaper modules are the reason stated (perhaps this is why Greg Barker is pleading to keep China in the dumping game) by DECC. In a decade it might be mobile phones or our motor assembly business, one day we might make nothing grow nothing, have no call centre to work in and be so poor we are working in the sweatshops to make goods for the wealthy factory owners who duped us all by dominating markets, gaining control and increasing prices. Whilst the good and the great of PV are in the UK & EU we must consider not allowing any perpetrator to flood our market at below cost as it is equally a botched/crazy plan to polarise a new industry with this instant tax. Conflicts and opposition will not resolve the greater environmental and energy challenges facing the human race. Perhaps a trade agreement based on more simple collaboration could help as frankly the global PV industries depended on each other for survival, frankly one of the toughest challenges might come from China, the economy of the Peoples Republic of China is not naturally a market economy and therefore making a profit could be further down the list of things to do than we could imagine. If a higher profit (or some say any profit margin) could be an enforced requirement for the PV executives in China it might make them as enthusiastic as we are about standing up for basic free market principles and a China based trade association such as CRES might help to monitor the prices and profitability of manufacturers in China. As many businesses in Solar PV will struggle it will mean that some will merge, some will close-down, others will prosper and the sector will slowly grow without the burdens of over production. If left unchecked 100% of the EU or US based renewable energy component makers will wither away and then China will increase the prices to a much higher level. On the other hand we might be surprised at the very people openly supporting China dumping stock as a number of key UK solar industry players have accompanied Barker on his mission to support China, including the chairman of the British Photovoltaic Association, Reza Shaybani , Rupert Higgin Managing Director, The Green Electrician, Jan Sisson, Managing Director of Juwi and Paul Barwell, CEO of the Solar Trade Association (STA). Are STA Preparing To Close Down UK Solar Manufacturing? Whilst working together on support for China I do hope they make time to plan an alternative strategy. As industry and government decision makers they and we with a stake in the renewable energy sector all need a plan b’ as this is the time to make a longer term plan with authoritative projections of Solar PV trends through to to 2030 and think about the UK, perhaps look at energy security, environmental sustainability and renewable energy economic development. If a levy on Solar PV from China does come at 47% (or other number), the levy is paid, what will happen to the money and could this money be used to supply soft loans to UK or EU Solarprenuers willing to start manufacturing modules and components for solar. Could we then create a whole sector? After all we can make things and we can sell them all over the world. If we focused on renewable energy perhaps we might turn the nuclear power off and create thousands of jobs. Climate change issues are a big route to beat our economy issues, global energy demand, production, trade, investment and carbon-dioxide emissions are something we could be doing across the EU or even broken down by UK region or county, by town and by technologies such as CHP, Biomass, Solar PV, Solar Thermal, Wind and Geothermal heat pumps, Air source heat pumps and developments in other ideas to service our needs on a sector by sector basis. Rather than just saying to the EU Commission we all want PV at below cost we should look at the EU to unlocking the economic potential for renewable energy or energy efficiency country-by-country and sector-by-sector. Whilst the insights of the longer term energy future is invaluable to those who seek to shape our energy future, we must keep our focus on a strategy to generate new business and market ourselves out of what might be stagnant market.You can be sure the price of PV will now go up, the EU might meddle even more by loading our VAT back to 20% instead of the 5% our government is alleged to be doing illegally. We might see a VAT increase but will this be fed back into FiT but (just my opinion) we frankly won’t see much from a government who are financially squeezed. Remember we have growth of 0.6 per cent, a deficit stuck at £120 billion, households facing years more pressure on real incomes and it all came to light during Chancellor George Osborne’s recent Budget 2013, the Office of Budget Responsibility confirmed that economic growth predictions had been halved from 1.2% to just 0.6%. The Committee on Climate Change acknowledged that paying for “green” energy may be costly in the short term but it will actually save the country up to £100 billion in the long run. The Prime Minister has been under pressure from his backbenchers to stop the spread of onshore wind farms across the countryside and rein back the cost of green taxes on household bills. However, the committee will today urge Downing Street to not to row back from the “green” agenda as it will ultimately hurt consumers. It said the building more wind farms, nuclear power and other green energy sources would save £25 billion to £45 billion compared with relying on gas. We need to develop a new strategy, perhaps we should not revolve around the green element, but rather around the practicalities: It is time for solar to be seen as a practical solution, something that we need rather than something green that is nice to have. 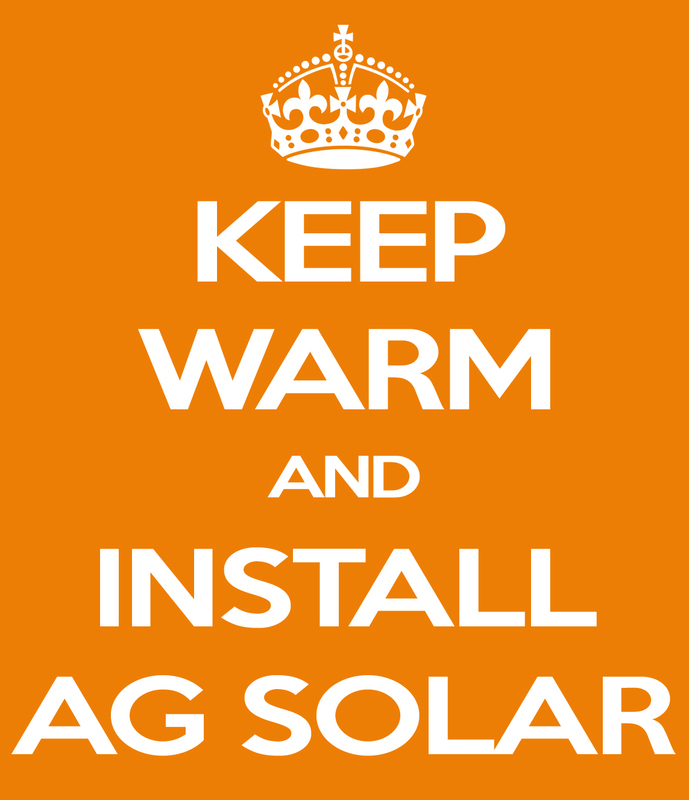 It is up to the industry to market solar as such, so that people start to see it as a necessity. If the EU Commission keep doing silly things to the renewable energy installers client I can see us all tipping the balance and we will see the posh occupants waving goodbye to Downing Street, the new occupants will be left a Good Luck in Your New Home card and I only wonder if it will say To the Swivel Eyed Loons From The We Never Saw That One Coming Party! Regardless of all the macro happenings above, we must prepare to skillfully take the disciplined approach to take market share from our nearest competitors. If we get our strategy right we can build our businesses to whatever size we like, we need to firstly look at our appearance, what we look like or what our business looks like is the first thing people see, they will judge the entire business on the look, get a budget for how you look because if you don’t put the branding in you won’t get the real benefits of your business or the real returns from your assets. By all means dream, from dreams come ideas, from ideas, things can happen…. you must tryout your ideas and don’t worry about failing. If you get words for the end user-client you can make a difference to peoples lives, we need to get our client to buy in to what we do, having a consensus, we do this by asking questions, being humble and doing things right for the client on each and every occasion. All the above sounds really simple, if you are already doing all the above then you are creating over 20 leads per week for each estimator, you are trimming these down to 10-15 qualified appointments every week with all the decision makers, the first face to face meeting is based around the sub title “The champion wins first, then walks into the arena. Everybody else walks into the arena and then tries to figure out what to do”, this creates a closing ratio of better than 1 sale made for every two quotations made and at better margins than you ever thought possible. This is all do-able with the right strategy (ideas), the right look (branding), the right leadership (managing a best strategy), the right team (having the right profile of people) and the right words (asking the right questions). This is something the manufacturers ought to invest in as the long term marketplace will be dominated by those equipped to deliver a message of quality and get to a “yes” based on the customer replying to our questions. Mercantile investors are proud to offer a fully funded solar PV system to selected sites. our site partners, we believe that all questions should be answered clearly and openly. be a business critical product. A full understanding of the benefits and the facts about installation are essential to ensure that the systems are fitted to any host site’s exact requirements. from the opportunity to a panel of investors who become the owner of a solar PV system. Site owner:- The owner of the host site. 1. What agreements will need to be put in place to take advantage of the scheme? partnership that will be formed between Mercantile Investors and the host site owner. 2. Who pays for the equipment? Who owns the equipment? Who pays for maintenance and servicing of the equipment? 3. Who receives the Feed in Tariff, Export Tariff, ROCs, LECs & REGOs? 4. Is there any cost for the electricity generated and used on site? How is this measured? 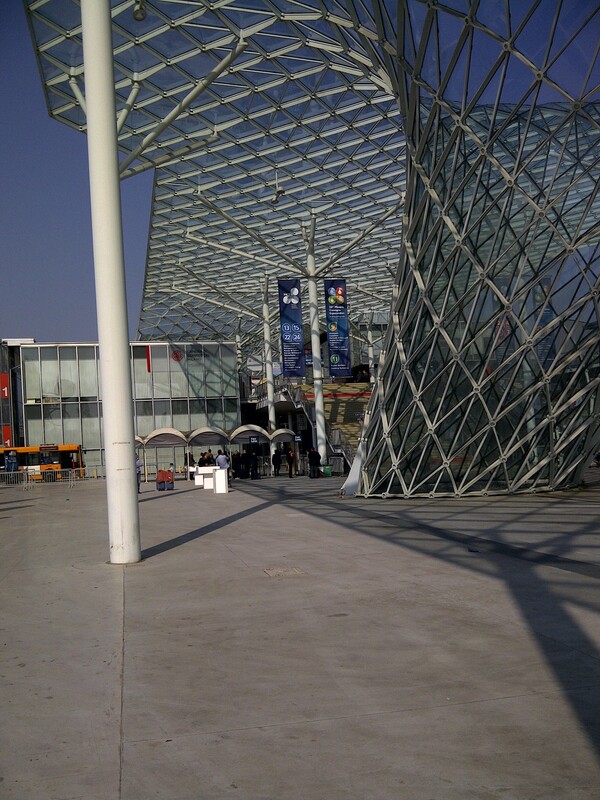 on site makes commercial sense as it does not need to be transmitted to other sites. system, thereby giving no advantage to Mercantile Investors to sell the power offsite. power will be deemed as consumed power. 5. How does the electricity feed into the existing electricity system? The solar PV system will be connected into the existing electricity system. slightly increased voltage, or pressure, when compared with the National Grid. met by the National Grid. There is no user input required for this to happen. 6. How is the system capacity worked out? therefore make the system economically viable. 7. What are the obligations for the host site? 8. Who will insure the equipment? then we would certainly put that right. 10. What happens if the property is sold and the new owner does not wish to “inherit” the deal? 11. Are there any performance guarantees? that Mercantile Investors install comes with long warranties – up to 25 years – on output. 12. Do mortgage providers need to know about this? cleared with your mortgage provider prior to any installation works being undertaken. Separately we would always recommend letting your mortgage provider know. 13. Who is responsible for planning related issues? 14. Can I have this at home? funded scheme does not make economic sense for Mercantile Investors to deliver. you wish to purchase a system. 15. What happens if the Company that owns the equipment ceases to exist or goes into liquidation? exist or go into liquidation. 16. Will the system operate during times where there is a power cut? 17. Are there additional measures that can be implemented to save further energy? 18. All sounds good. So what are my actual benefits? Talk to us now! we’re ready, we’re waiting and we know we can help you. Key members of the UK solar industry have expressed serious concerns over the ongoing uncertainty and potential impact of EU investigations into alleged Chinese dumping and illegal subsidies. Paul Barwell of the Solar Trade Association (STA) convened a meeting just before Easter to discuss strategies for dealing with the impending anti-dumping legislation. Although the meeting was off the record, Solar Power Portal gained access and was able to interview some of the participants afterwards. While opinion industry-wide remains split over the benefits or otherwise of the imposition of retro-active taxation on Chinese-manufactured modules, the vast majority of delegates at last week’s meeting made it clear they believe the proposed EU legislation will have disastrous consequences for the entire sector. The potential imposition of trade duties on Chinese-manufactured solar products in the EU could cut the UK solar market by up to 80%, new research claims. This could cost the UK economy £3.46 billion and result in 38,600 job losses, according to a report published by Swiss analysts Prognos and commissioned by AFASE, a body representing European solar manfuacturers opposed to EU trade measure against China. The group is comprised over 20 European companies representing many in the EU solar industrial production. The group notes that Europe’s solar industry is being hurt by “unfair competition” from China that has resulted in layoffs and companies going bankrupt. The group states that without Europe taking a stand, there will be no manufacturing or R&D solar jobs left in Europe. “Not only is China clearly dumping cheap solar products in the EU but the government readily admits to subsidizing its solar manufacturers for exports. China has no natural cost advantage over the EU given labour accounts for around 10% of production costs, and it must import raw materials and equipment to produce their solar cells and modules,” Nitzschke continued. The US government recently concluded that Chinese exporters have dumped solar cells in the US at margins of 30% to 250%. EU ProSun notes that the US’s decisions about China’s trade practices will more than likely increase the chance of trade defense measure in the EU, especially since US measures will presumably mean that Chinese exports will be diverted to the EU. We wanted to see if each surveyor from the 12 companies we filmed would assess the house properly and estimate payback time and profit from the feed-in tariff accurately. Two companies breached code by offering a discount valid for 24 hours only and offering a ‘first come, first served’ discount in exchange for providing regular meter readings (‘monitoring’) – activities specifically banned in the code. One salesman failed to mention ongoing costs, despite prompting, and another admitted he wasn’t a surveyor – the consumer would have to make a decision based on a (likely inaccurate) quote made by a salesperson, before getting a professional evaluation from a surveyor. Five did not go inside the loft to check suitability for installation of solar PV. Five sent a salesperson not a surveyor but still gave a quote, estimate or price. Seven didn’t take into account the fact that part of the roof was in shade, so putting solar panels there was questionable. Eight did not ask questions about energy usage or lifestyle. Eight underestimated the time it would take for the system to pay for itself. We found that the methodology companies have to use under building regulations to estimate payback and savings is flawed and can lead to inaccurate predictions. Whilst we are calling for this to be improved, it is worth taking these values with caution. 10 failed to mention that the inverter (which is an essential part of a PV system and turns the current generated into useable AC current) would need replacing earlier, even when prompted about maintenance requirements and ongoing costs. Solar electricity has attracted much interest since the government introduced the feed-in tariff, which pays the consumer for every unit of electricity the solar system generates. The payments are guaranteed for 20 years and, in the right conditions, this means that you are very likely to recoup your initial outlay in less than 20 years and make a profit after that. To qualify for the generous scheme, you have to use products and installers certified under theMicrogeneration Certification Scheme (MCS). Which? has produced a downloadable solar PV installation checklist which highlights the things you need to consider before having solar PV installed. The checklist includes tips and advice on what you should do, and the questions to ask, before, during and after a visit from a solar PV installer. Our investigations showed some salesmen using dodgy sales tactics and exaggerating the financial savings that could be made, so we strongly recommend that you do your own research first. Then compare the estimates of costs and savings you are given by salesmen against other sources of advice. With Bosch taking a commercial decision to exit the solar business many will say it is yet another latest example of how China is removing one competitor after another from the market through illegal subsidies, dumped prices and building up massive overcapacity. This could encourage the EU Commission react with veracity as the lobbyists will cite the fact that more than 40 European solar manufacturers were forced to file for bankruptcy over the last two years and that these plants all closed due to unfair competition from China. Those who favour EU imposing a tariff say that prices of Chinese solar products are sold for a price that is up to 50 percent below the cost of production cost. If true then it must be agreed that this is unsustainable behaviour and some evidence of this came when Suntech became insolvent. If you sell and make more than anybody else how can you go bust? This will drive the dumping lobby crowd to say Suntech are an example as they were formerly the largest global solar manufacturer. If it is deemed to be dumping it is illegal and it harms everyone and must be stopped immediately.The installers are not going to be happy as the market is tough enough without yet more obstacles heading our way by June at the latest. In or before June the European Commission will make a decision on dumping duties. Pioneers of renewable energy Bosch is to putting a middle finger up to crystalline photovoltaics. and we all await the news about how they will honour warranties. Although Bosch (manufacture: ingots, wafers, cells, and modules) says it will be lights out in 2014 we think they will quick dispose of product and machinery. Both development and marketing activities are to be ended now. The exsiting module plant in France is up for sale and all plans are shelved to construct a manufacturing facility in Malaysi. Having bought Aleo we learn tha Bosch plans to sell its shares in Aleo solar. Since China supplied products at below cost price Bosch Solar Energy has tried unsuccessfully to achieve a competitive position. Born in Dortmund in 1966, Stefan Hartung is married and has two children. He studied mechanical engineering at RWTH Aachen, specializing in Product Engineering. In 1993, he completed his PhD on methods of quality management. Born in Uhingen, Germany, on November 30, 1956, Volkmar Denner is married and has three children. After taking his university entrance examination in 1975, he studied Physics at the University of Stuttgart, taking his diploma examination in 1981. After a research spell in the U.S., he was awarded a doctorate in Physics (Dr. rer. nat.) by the University of Stuttgart in 1985. Dr. Volkmar Denner, the chairman of the Bosch board of management. Will 70% of PV producers be out of business in 2013? iSuppli predicts worldwide, the total number of companies participating directly in the manufacturing of PV solar panels, from polysilicon manufacturing through module assembly, is set to fall to approximately 150 in 2013, down from about 500 in 2012, according to the IHS Solar service at information and analytics provider IHS (NYSE: IHS). This compares to about 650 in 2011 and 750 in 2010, as presented in the figure below. Companies at the highest risk of going out of business in 2013 include integrated suppliers that manufacture PV polysilicon, ingots, wafers and cells to offer complete solutions. Second- and third-tier suppliers of crystalline silicon (c-Si) polysilicon, ingots, wafers, and cells also will struggle to stay afloat. Finally, smaller thin-film cell providers likewise will face low sales and limited market sizes, putting them on the endangered list. The Disintegration of Integration: Many integrated players will fold up shop in 2013 as the large expense of building integrated facilities—and then seeing them underutilized for the better part of a year—will prove to be financially unsustainable. Many of these players are based in China. Government subsidies could be an option to keep integrated suppliers operating. However, while IHS believes that some supplier may be propped up by the Chinese government in 2013, the majority will dissolve. Second-tier Survival Tactics: With price declines still occurring across the board in 2013, low-cost players will get the lion’s share of the global market. Upstream second- and third-tier suppliers of polysilicon, ingots, wafers and cells will struggle to survive the year in markets that do not have local-content requirements. Many of these companies will not be able to float operations for a very long period of time. For second-tier module manufacturers, the key to surviving in 2013 will be establishing and maintaining strong relationships with downstream players in the emerging markets. Second-tier manufacturers must move faster than those in the top tier in order to grab mindshare early. Flexible business models, with consistent outsourcing, will be needed to succeed. Because contract manufacturers require certain levels of business to remain profitable, securing stable relationships with these companies is also critical for second-tier module manufacturers. Second-tier module makers also must be flexible enough to capitalize on the volatility in high-growth markets, which consist mostly of small and midsized engineering, procurement and construction (EPC) companies. These companies initially have less allegiance to established top-tier manufacturers. But as their experience in this area grows, price becomes a primary factor, favoring low-cost producers. This is already true in markets like India, and is becoming a factor in Latin American countries such as Chile. Thin Prospects for Thin Film? Thin-film module manufacturers will have to adopt similar survival strategies as the second-tier c-Si module suppliers. This will be particularly true if pricing for thin-film modules doesn’t remain competitive with c-Si during the year. If thin-film pricing does not decline at the same rate as c-Si, the technology will be relegated to select niche markets that generate scant demand. Module suppliers in these three categories—integrated manufacturing, specialized second-tier manufacturing, and thin film manufacturing—will experience the toughest challenges in 2013 given the hurdles needed to make those operations successful. Because of such challenges, some of these companies will fail. Consolidation and reduction in a supply chain results in capacity being taken offline, often benefiting the remaining players in a market. But given the weak conditions in today’s PV market, there is no guarantee that the supply-chain shakeout will help surviving suppliers in 2013—or even make it less likely that they will fail. An extensive whitepaper presenting IHS’s top 10 predictions for the solar industry in 2013 can be downloaded from.